According to evolutionists the earth is 4.5 billion years old. However we at CCG believe the earth is only 6,000 years old. Many people, especially evolutionists, get very annoyed when we quote this age. However, have you ever asked how scientists have come up with their age for the Earth of 4.5 billion years? Well basically they have guessed, yes that’s right, they have guessed. They will tell you they have used fossil records, carbon dating and so on, but when all is said and done they have guessed. Think about for a minute, they must have guessed because no one was around 4.5 billion years ago to start the timer! Let us know what you think about our view of the age of the earth. Oh, you mean how they carbon dated coal at circa 20 000 yrs old when it was supposedly millions of years old; and no, it wasn’t contaminated or anything stupid – the results were repeated with samples from multiple locations around the world. Yeah, your right, carbon dating. C14 concentration at the beginning, the constancy of the decay rate, the addition/removal of one of the products, etc. There are NO absolute dating systems. Or to illustrate the point further, suppose you walked into the bathroom, the bath taps were running and the bath was half full. However, the plug had been pulled out and the drain was partially blocked. If you wanted to know how long the bath taps had been running, you’d have to assume that while the bath was emptying, the blockage had been constant, that the taps had been left at the same setting all the time from when they were first opened, and whether the bath was empty in the beginning. If the bath was part filled at the start, or someone altered the taps while you were away, perhaps the drain was slowly blocking up with hairs. Unless you knew these things, you’d never be able to calculate how long the taps had been running. Applying to radiometric dating, we don’t have a closed system – most resultant products are water soluble, some are gases, so how can you be certain none have escaped ? You can’t. We don’t know the initial quantities either. Most radiometric dates are performed on volcanic (igneous) rock, but magma’s can be mostly solid material transported in a small quantity of fluid lava, so what exactly are we dating; the date of eruption, or the date the original pre-eruption solids formed ? There is even speculation that radio-active decay rates are variable. Of course assumptions can be made, and scientists try to calibrate, but how can they ? This is why many volcanoes eruptions which have been witnessed in the last few hundred years have also been radiometric dated to millions of years. After being proven wrong, excuses and correction factors are of course put forward. But if the techniques doesn’t work for samples we know to be wrong, it says that the method doesn’t work. Full stop. Period. Why are we now going to trust it for anything else ? There was no one there to observe the initial conditions. There was no one there to ensure the materials were uncontaminated. There is no way to ensure the decay rate has remained constant. As you wrote, dates from calculations based on events of known age are often clearly inflated, so how can dating of unknown ages be replied upon? Censorship is the main tool used to restrict challenges to the prevailing paradigm, but there are literally hundreds of creation science websites supporting creation science. Look in ‘Meridian Creation Science’. While I believe in a gap between Gen 1:1&2 I certainly do not hold to a old earth. I still believe that the earth cannot be more that 7000 years old. I certainly do believe that the material God made everything from comefrom Himself and therefor if anyone tried to date it it would reflect God’s eternity. And we just don’t know how to date Eternity being human. I thought the gap theory was invented in order to put millions of years into the age of the earth? If you believe in the biblical age of the Earth as less than 7000 years old then why accept Gap Theory? You are entitled to your views but I am concerned that you are trying to influence children. A literal interpretation of the Bible makes no sense at all. 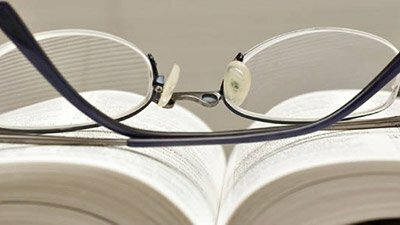 The bible is the word of God, literally, plainly, in reality. If you look at true science you discover that a materialistic view of origins is clearly false. I think your view on the age of the earth puts rational people off the idea of Christianity. Maybe their “idea of Christianity” needs a refresh? Christ came to become “a curse” for us when He shed His Blood for our sake at Calvary. If children and adults have no clear idea what Christ was seeking to conquer, then a clear understanding of the Gospel is impossible? Truly rational thinking is putting all the ideas onto the table, examining the facts and comparing those facts with multiple possible explanations; then eliminating those that don’t explain the facts. Most fail to do this. The truth of God’s word will not put people off of Christianity. The O.T. shows a chronology in thousands of years. Trying to add in millions or billions is just compromising the bible. Indoctrinating people into evolution is hardly rational especially when science clearly shows that it could not have occurred. I don’t know why the age of the Earth is so contentious, but this is surely a battleground. Does anyone know why the age of the Earth is so contentious? People may stand firm in rejecting Darwinian evolution but then refuse to make a stand on the biblical age of creation. The bible teaches a date about 6000 years ago, why do people not accept what God has said about this matter? 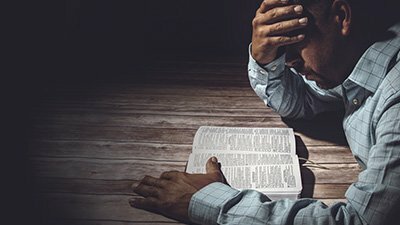 The Authority of God’s Word is the real issue here, people may not realise that this is their main goal, but trying to escape the Authority of what God has stated in all of His Word is their main aim. This (they think) would give them the ability to cherry pick the bits of God’s Revelation that fit their lifestyle rather than God molding them into the people He wants them to be.